100+ seeds of the american native edible berry, Vaccinium vitis-idaea, known commonly as Lingonberry. Hardy to zone 2, this is a cold tolerant and extremely resillient plant. 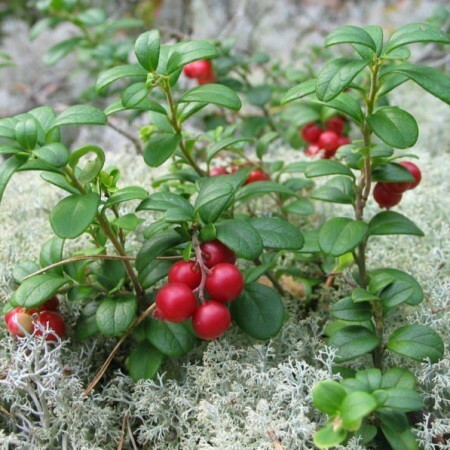 Can be grown in warmer zones, appreciates similar conditions as blueberries, acidic soil and frequent moisture. Seed must be surface sown, and needs light to germinate, as well as a 1-2 months cold stratification. First stratify them in fridge, or outside in winter temps. then start them by surface sowing, do not cover seed, inside mini greenhouse or plastic bag. Can be winter sown. price includes shipping.